A man went berserk in Las Vegas and stabbed two women before police officers were able to contain him. An LVMPD police body camera caught the full action of the police chasing the out-of-control man. 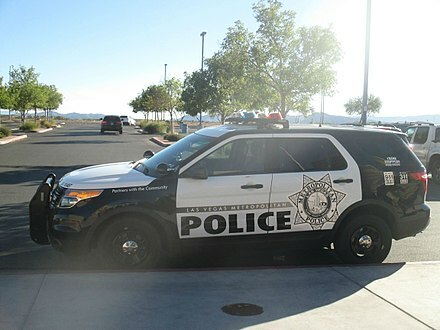 Investigators received a 911 call on Friday from a woman who said she had been stabbed inside an RTC bus at Rainbow Boulevard and Spring Mountain Road. After stabbing the woman in the bus, the suspect knifed another woman on a sidewalk. The images caught on police body cam showed the suspect running from police officers who quickly responded to the woman’s call. The video shows the suspect refusing to heed the police’s commands. The officers attempted to contain the suspect later identified as Caleb Hill through lighter means, but those didn’t quite work out. First, the police attempted to tase Hill, but the taser prongs hit Hill’s backpack so it didn’t work out. Next, good Samaritan in a black jeep tried his bit to help out, but Hill instead used the opportunity to try and get into the vehicle. The police next tried firing bean bags at Hill but that it was not effective either. After about three minutes of chasing Hill, the officers finally decided it was time to fire on Hill as a last resort. The last option neutralized the suspect. He was later taken to UMC Hospital where he remains in serious condition. Officers are still investigating, and remain clueless as to what could have triggered Hill to attack strangers. Kelly also said that because Hill posed a danger to people with his attacks, and with all the other safer options the responding officers tried but failed to contain the wild suspect, the officers’ move to fire at Hill is justified. Deep State finger prints all over this! Q said to ecpect this. Also includes Florida shooting. Deep State finger prints all over this! Q said to expect this. Also includes Florida shooting. What is with these animals and the blank gaze? Its like they are empty husks of humanity, completely soulless. So glad our LEO did the right thing. They tried taser with neg. results leaving them no other choice but to use their service guns. What is with these people that want to stab, shoot and kill others?